By Michael Sebastian . Published on November 13, 2014. A photo for the Victorinox campaign. 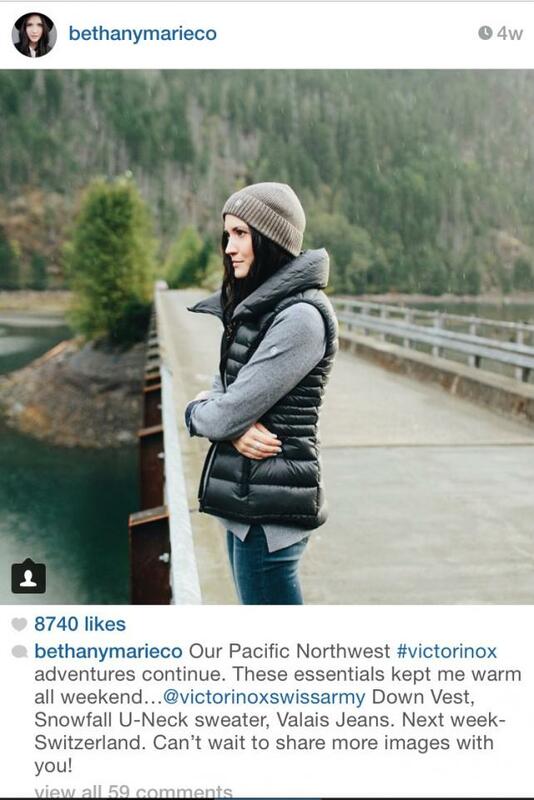 Wired magazine has tapped a male-female duo famous on Instagram for their alluring photography to anchor an ad campaign for apparel and accessories brand Victorinox. The ads are appearing on Instagram, in Wired and on Wired's website. "We use to create content that would live in our magazine," said Melanie Altarescu, head of strategic initiatives at Wired, which is owned by Conde Nast. "Now we create it so that lives in so many different places, including our website, magazine and social channels as well as the client's social channels and website." "The last layer, which is the new part, is they want the content to also live on the influencer's channel," she added. "The first place these pictures ever appeared was on their feeds." The effort is among several this fall and winter from publishers creating content for advertisers to appear on a social media platform, not just the publishers' own digital properties. Publishers have long used Twitter or Facebook to share links to the sponsored content they host on their own sites, but recent efforts on Instagram and Snapchat show that these media companies are retooling native advertising to actually live partly on social platforms. 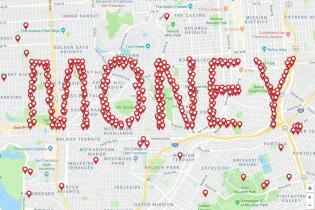 "What you're seeing is publishers embracing the broader media ecosystem and finding ways to create new and innovative ways to capture people's attention and retain it over time," said Adam Shlachter, chief investment officer at DigitasLBi. The Victorinox campaign marks the brand's 130-year anniversary and features Bethany Olson and Cory Staudacher, a recently engaged couple known for chronicling their adventures on Instagram. 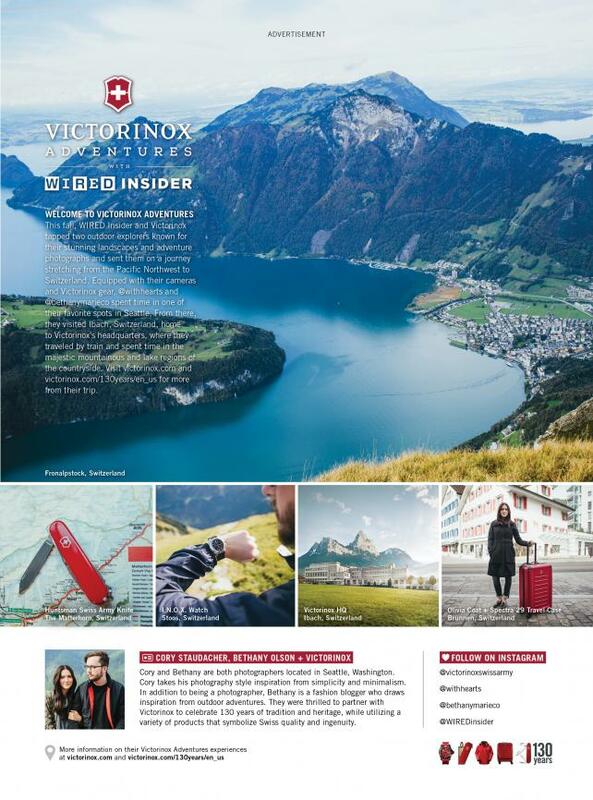 Victorinox outfitted the pair for their recent travels, including a trip to Victorinox's hometown of Ibach, Switzerland. 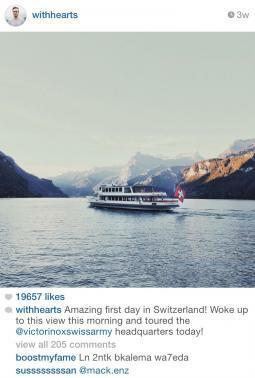 They posted content to their Instagram feeds, mentioning the brand in taglines. Some of their images will also appear in print ads in the December issue of Wired. The program rolled out Oct. 6 and has so far generated more than 65,000 "likes" on Instagram and roughly 500 comments in its initial phase. "The authenticity and beauty in their photography really sang to us," said Dennis Pireta, Victorinox's senior VP-marketing. Ms. Olson and Mr. Staudacher were both compensated for their efforts, according to Ms. Altarescu, who declined to elaborate. The posts from Ms. Olson and Mr. Staudacher won't appear in the official Wired Instagram feed, though they were promoted via Wired Insider, the magazine's social media platform for marketing and promotions that includes Instagram, Facebook and Twitter. 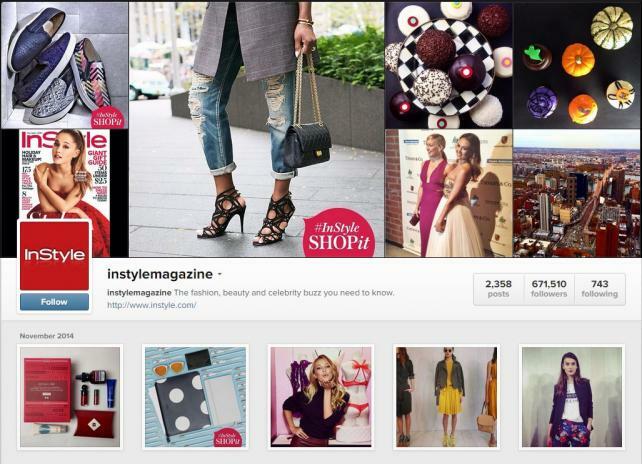 Time Inc.'s InStyle magazine is planning to run custom advertising campaigns on its main Instagram and Snapchat feeds, according to Publisher Karin Tracy. Starting Dec. 8 on its Instagram feed, which has more than 671,000 followers, InStyle will share one post daily for five days highlighting a luxury accessories company's product. Ms. Tracy declined to name the advertiser. InStyle staff will create the posts and denote them as sponsored, she added. For the Snapchat campaign, "Style in a Snap," which rolls out the Monday after Thanksgiving, InStyle staff created videos that are less than 30 seconds long highlighting a holiday gift from 20 advertisers, including Jimmy Choo Fragrance, Chantecaille, Sisley and Aeffe. 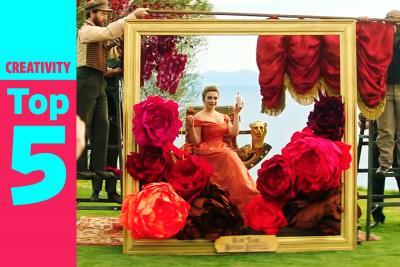 Each advertiser will have their video shown on a specific day. The campaign lasts 20 days, during which time InStyle will give the items as prizes. InStyle has spent the last several months building its Snapchat followers. One tactic was to debut the cover of its September issue on Snapchat. Ms. Tracy said the magazine's open rate on Snapchat -- which is the percentage of followers who view InStyle's "snaps" -- is 80%. 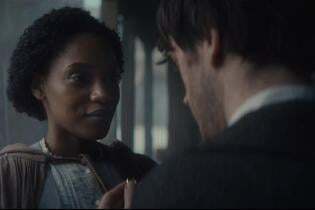 "This is a way for advertisers to engage in a platform that they may not have had the ability to engage with yet," she said. Other magazines are also selling campaigns around their social channels. 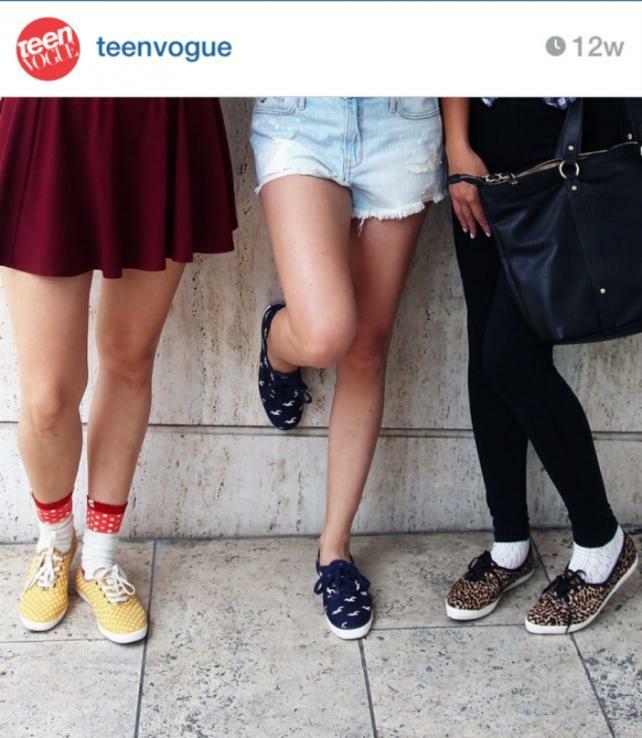 Conde Nast's Teen Vogue, for instance, worked with shoemaker Keds on an Instagram contest that challenged its audience to share pictures of their outfits. The program ran in August to coincide with back to school. Social Studio, a unit within Teen Vogue charged with creating and selling advertising packages rooted in social media, was behind the Keds campaign. More than 30 brands have worked with the studio, according to Stacy Greco, head of integrated marketing at Teen Vogue. Campaigns like those from Wired, InStyle and Teen Vogue are attractive to advertisers looking for new ways to connect with audiences, said Mr. Shlachter at DigitasLBi. "To breakthrough in the media ecosystem today requires a myriad of tactics," he added. But there are also risks involved. A tin-eared brand showing up in a publishers' social feed might turn off followers. That's why, for instance, Wired tapped influencers for the Victorinox campaign and InStyle enlists its own staff to create Instagram and Snapchat content for advertisers. "Above all, no matter what you're doing, be authentic and true to your brand as well as the audience," Mr. Shlachter said. Shenan Reed, president-digital at media agency MEC North America, expects to see more campaigns next year that are rooted in digital as, she said, "magazines and advertisers alike continue to appreciate the value that a social-first approach can give them." 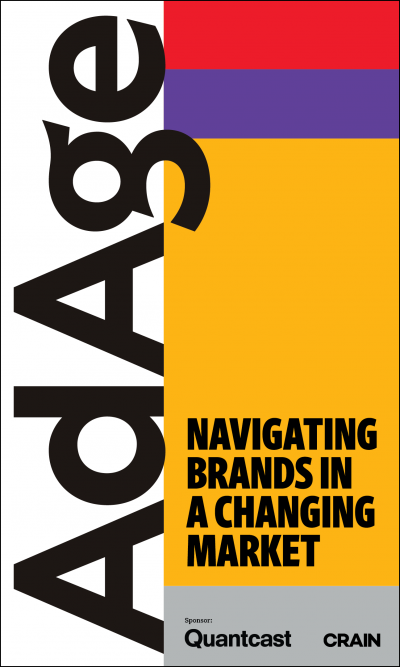 Michael Sebastian covers digital and traditional media, the trends affecting them and their fight over both advertising dollars and the attention of readers and viewers. In covering the evolving media business, his beat has grown to include the worlds of content marketing and native advertising. 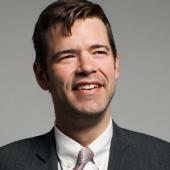 He joined Ad Age in 2013 after founding PR Daily, a daily news site covering digital marketing and public relations. He started his career as a newspaper reporter in Chicago.